About three years ago I decided that no animal should have to suffer for my vanity. That just does not seem fair in any way with all the suffering we humans inflict on animals as it is. I have always had a bleeding heart for animals. Animal suffering pulls at my heart strings more than human suffering. I’m sorry if this sounds horrible but I can’t help it. Animals suffer at the hands of humans ergo, they deserve more of my pity. And action. I have battled with becoming a vegetarian for some time and am consciously making an effort to eat less meat unless I know where, and HOW, it was farmed. However, this blog post isn’t about vegetarianism and the farming industry. It’s about the beauty and cosmetics industry. And it’s just as ugly. Which is why no animal should suffer so I can be pretty. I made a commitment to buy only animal cruelty free products for my body, face and hair. It ended up spilling into my home cleaning routine too. And it was surprisingly easy. Well, after a fair amount of research. And bonus: by buying products that are animal cruelty free the ingredients tend to be more natural, so I also eliminated a lot of chemicals from my life. And double bonus: being that now I have to more consciously think about each product before I buy it, it stops me from spontaneously buying something pretty that catches my eye. It takes me a minute to whip out my phone and do research on the brand (most brands have the “Leaping Bunny” logo on them, but some animal cruelty free brands don’t) so usually I just end up leaving it. So it saves me money and keeps my make up cabinet decluttered! I started researching all the brands I use: Nars, Estee Lauder, Laura Mercier, Bobby Brown, YSL, Chanel and a few others. Some of these brands are cruelty free themselves BUT they are owned by a parent company who still uses animal testing practices. In addition, if any product is sold in China it MUST undergo animal testing due to China laws. So that means if a brand is fully committed to being animal cruelty free they cannot allow their products to be sold in China. For instance, Nars is an animal cruelty free brand and Nars products are not sold in China. But their parent company, Shiseido engages in animal testing so technically Nars wouldn’t fall under the extremely strict animal cruelty free guidelines PETA has to make it to their “good” list. I use PETA’s list as a reference guide to help me make better choices, but in the end I make my own decision on how I feel about a brand based on the brands personal motto. Another example is Laura Mercier. 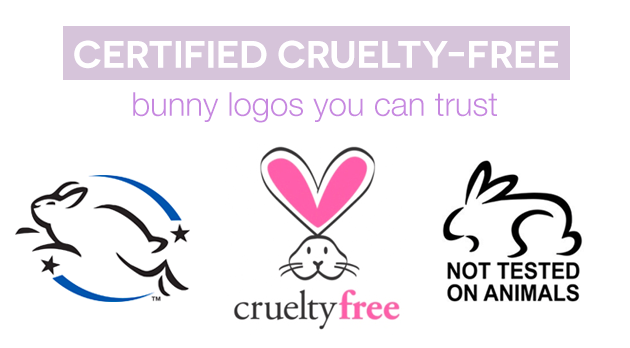 They are individually owned and have stated, and were approved by Leaping Bunny, that they are animal cruelty free. However, they chose to start selling in China recently. Sooooooo…. that means Laura Mercier has been removed from Leaping Bunny’s list. And mine. 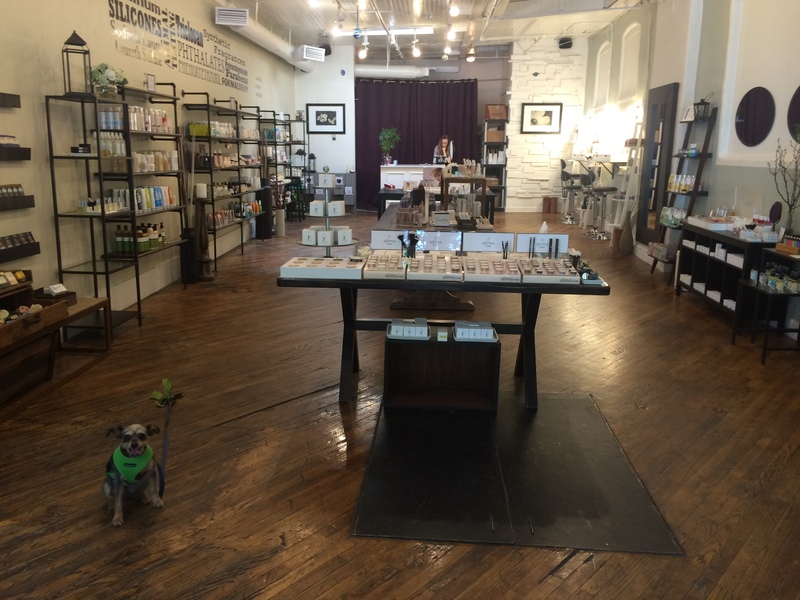 Another side benefit of choosing to go animal cruelty free in my beauty routine is it opened me up to small businesses around my city of Atlanta. I love going to Fig & Flower owned by the sweet Sara. She’s so helpful and her store is so lovely, it’s just such a pleasure to shop there compared with the over perfumed, over stocked beauty counters at big department stores. And every single one of the products she sells in her store are animal cruelty free and chemical free. I buy a brand from her called 100% pure. The mascara is made from fruit dyes. The awesome thing about it, it comes easily off with water but doesn’t smudge. And it smells good! 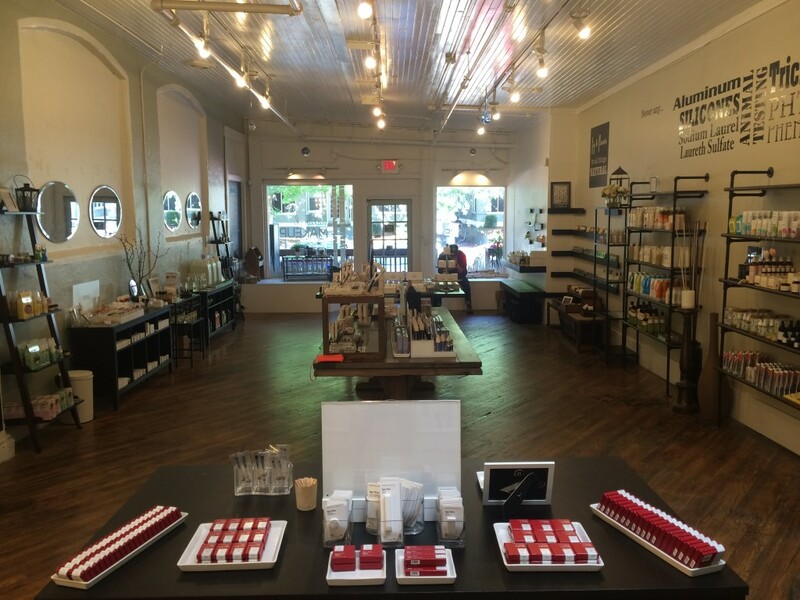 Since starting this blog post I discovered a new brand (new to me) that I’m loving: Alima Pure. I bought the pressed powder foundation and have never had a more perfect skin tone match. There is also an online only brand that I have found I really like called Beauty Counter. 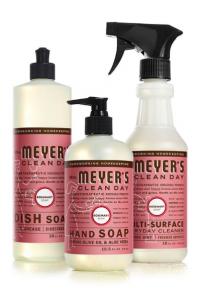 They use all natural ingredients and don’t use any ingredients procured by animals. 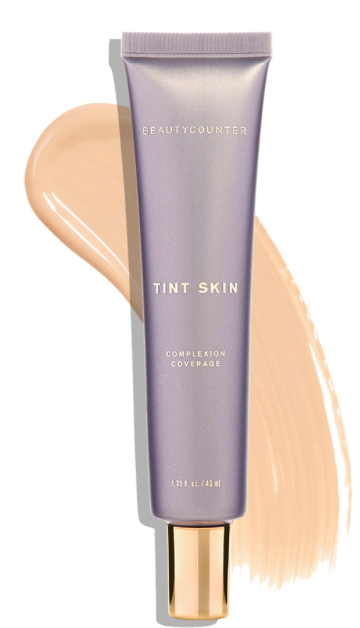 I love their Tint Skin Foundation. 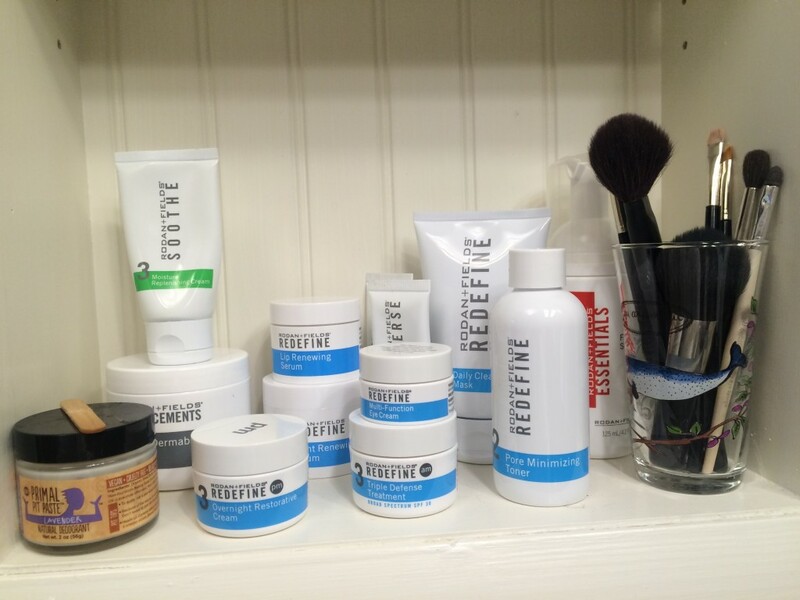 The part of my beauty “routine” I struggled the most with was my skin cleansing routine. I could not find products that I felt really worked in terms of cleansing, make up removal, moisturizing and anti aging that did not test on animals. This was the part of the transition in which I spent the most money by trying tons of different brands that each seemed to leave my skin feeling lack luster. Then, and this is the point where you are going to want to stab your eye out, I came across Rodan + Fields. I know I know. We are all sick and tired of seeing everyone we know who is a consultant for the company post on Facebook constantly about how great the products are and how great the business is. The rub is: the products are great. And guess what? They are not tested on animals. SOOOOOO…. I became a consultant to get the products cheaper. Listen, I know it’s annoying but I spent my whole adult life trying out new skin care products and spent about eight months experimenting with all the animal cruelty free brands out there and I landed on Rodan + Fields as the best. Sorry I’m not sorry but I can at least promise you I am not blowing up my Facebook feed with R+F propaganda. I even got Marc on their Unblemish face wash for his razor burn and in about a week: gone. I hate that I love it so much. For hair, the solution was really easy: keep using what I’ve been using for years. 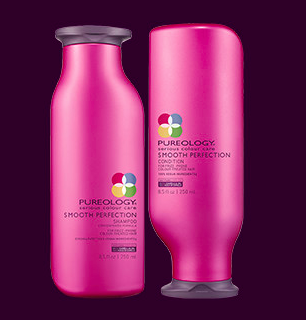 Pureology. In fact, the brand is vegan, so it’s super strict. The only sucky thing is they are owned by L’Oreal who does do animal testing…however, Pureology has made it onto PETA’s super strict list so it’s ok with me. Wen is another good brand that’s Leaping Bunny approved. I sometimes sneak it into my hair routine to mix things up. 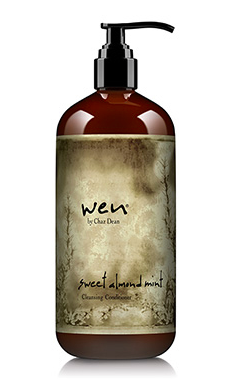 A new hair product that has just been introduced into my life that I am completely obsessed with which just happens to be cruelty free is It’s a 10. It’s a “keratin” spray that you spray over your hair when it’s damp after the shower. It’s really amazing how well it works to keep the frizz under control. Nail polish is tricky because if it’s made by one of those brands from all natural ingredients, lets be honest the results are less than stellar. But I have found a brand I love with great color choices that are really pretty and stay on just as good as O.P.I and Essie. And it’s vegan also! SpaRitual. You can find it at Ulta and I’ve seen it at some spas. They also have a whole line of body nourishing products that I’m dying to try. Another product I had a hard time finding was deodorant. I had been using Secret or Dove for years and they obviously work really well. When I switched to Jason deodorant, I suddenly realized just how hard Secret had been working all those years. When I work up a sweat, I stink! So then I tried my other go to favorite brand, Tom’s of Maine. I’ve been using Tom’s toothpaste for years, even before I made the animal cruelty free commitment. Their deodorant worked a little better, but not much more. Finally after much testing (I still have about six half used deodorant tubes in my cabinet that I can’t bring myself to throw out) I found the one that works! It’s a bit different as it comes in a little pot as a paste that you have to apply with what looks like a tiny popsicle stick. 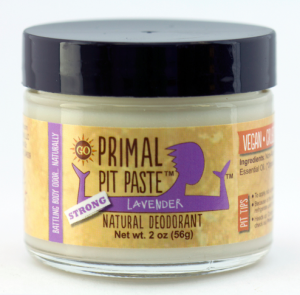 Appropriately enough the brand is called Primal Pit Paste. I know, it seems a bit weird but I promise it works. Not to mention it’s a lot less wasteful in terms of packaging. I get it in the lavender scent. Another product I have been using for years that I really like for multiple purposes is Dr. Bronner’s. This is the mac daddy of all ethical brands. They do no wrong. They are vegan, fair trade, socially responsible, environmentally friendly, magic making titans. I love this brand and all their principles so use it a lot. I love the Castile Liquid Soap in the shower for my body AND I mix it with baking soda to make an all purpose cleaning scrub for the house. I get a mason jar, squirt some castile soap, pour in some baking soda and put a couple teaspoons of water, mix it all up and I’ve got a great cleansing agent for sinks, tile, tub and toilet. It works great, cleans great and is chemical free. If making your own cleaning products is not your thing, and I don’t blame you, my go to brand is Mrs. Meyer’s Clean Day. 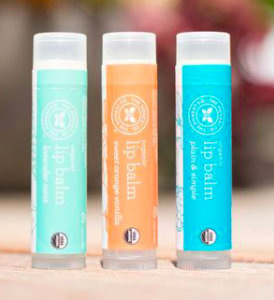 This is yet another brand that I had been using for years just because I love it, before I realized it was animal cruelty free. I love all the products. Every single one so I won’t bother listing them all out. Just click on the link to check it out. Or shop it next time you go to Target. One thing I had a hard time finding a replacement for was my addiction to using Aquifer Healing Ointment as chapstick for my lips and Eucerin hand lotion. I have such dry hands because I am a freak and wash my hands a million times a day, so I apply lotion a million times a day. I’m still searching for the perfect ointment for my chapped lips, but in the meantime I’m making it work with The Honesty Company’s chapstick, but their ointment I did not like at all. 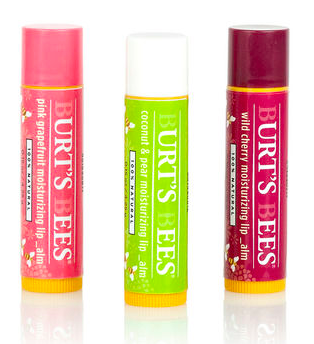 I use Burt’s Bees lip balms also. But if anyone has a suggestion of something that is as great as Aquifer, please make sure to leave a comment and let me know! As for the hands, I just recently discovered Shea Moisture African Black Soap Soothing Hand Cream. I love it! 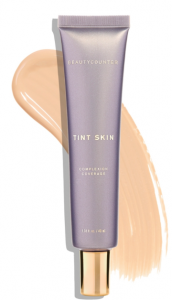 And I use a number of their other products too that are all pretty good, from what I’ve tried so far. I should mention none of the brands I mention here have sponsored this blog post. This is purely based on my experience and judgements. I wanted to share with you in case any of you are thinking of making the switch to live an animal cruelty free life, or at least, the beauty routine of it. 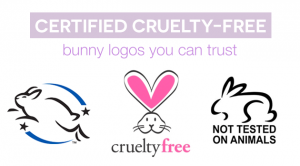 Below are some helpful links that I’ve used in my search for great, cruelty free products. This entry was posted in Green Life, Life.